Creating an application or website is not limited to putting on attractive homepage and photos to match the site’s subject, but also requires project developers to identify any shortcomings in the flow and visualize a good output to get the interest of audiences. This prototyping process lets designers and developers review concepts and share feedback in the early stage of a project, which will be much simplified and well conducted by a right tool. The current UX prototyping space is booming and there are more versatile solutions on the market than ever. As everyone has a unique set of needs for his/her mock-ups, we select the pick of the bunch based on real experience and investigations. As shown, the following list comprises 11 of the best UX prototyping tools available today. Keep reading and find the prototyping tool you need. Mockplus is a desktop-based app that makes quick yet impressive prototyping possible for another higher level of design. It’s supported by a bunch of experienced developers from the orient and devotes to simplifying complexity on mobile, web and desktop prototypes with a low learning curve. There is no coding required to output a complete design project, making the whole process as time efficient as possible. Not only does this app let users import images right from Flickr and Google, but also allows them to preview design work on the real mobile phone via scanning QR code. Its drag-and-drop functionality makes rapid prototyping and interaction during any development phase possible and more on-demanded components, such as slider images, pop-window and context switching interface, can be expected within the coming 2.1 release. Another popular prototyping tool is InVison which allows users to upload static page designs into the tool itself and then add hot spots to convert into interactive mock-ups. Also, this tool makes design presentation easier by letting users present their projects in an actual demo and even SMS it directly to a mobile device. InVision’s approach mainly focuses on integrations and capabilities to support prototyping rather than replacing the tools that are familiar to designers. Note that, it’s web-based and their ideal prototyping formats must be web and mobile. Founded in 2002 by Martin Smith and Victor Hsu in Berkeley, Axure has been very early on the scene and continues to be a dominant force in this area. It’s primarily aimed at experienced developers and web designers, allowing people to design, create and test prototypes/wireframes with a complete set of editing and drawing tools. Their user community is very large, and features including group workflow, team collaboration as well as version control are only available in the Pro version. The standard library of shapes remains to be pretty primitive, and image handling seldom goes right as an element often needs to crop or slice to fit the given workspace. The deeper a user go with Axure the more (s)he will unlock powerful capabilities, but the code-heavy features and steep learning curve still keep more and more new-comers away. Being started and run by web designers to design screens for different kinds of devices, UXPin has made into the list for top 11 wireframing and prototyping tools. This tool provides a lightweight web-based prototyping environment, along with a UI component library and drag-and-drop elements for users to get the full feel of an actual website. Another highlight of UXPin is the user-oriented preview mode which enables designers to test out layout and also edit the comments on the diagram to make group project much efficient. However, there are no any way of notifying users if there are any new revisions or comments that are done, and it seems to favor a self-help method of customer support as they offer FAQs, forum and tutorials for users to find solutions themselves. Balsamiq Mockups is a functional and fast prototyping tool for web sites and apps, working both on desktop or in a web browser. It promises a flexible and fluid design process and is effective when adding small features onto the page as it is when making full-blown applications. The basic premise behind Balsamiq Mockups is to keep the mockups low-fidelity and intentionally rough. Only the end result is simpler to edit and easier to share with developers and shareholders. The absence of the ability to Zoom and Pan will certainly slow work down and makes this tool not a perfect fit for large-sized projects. Justinmind, an elegant design application bundled with great interaction tools, can be familiar to those who have been already acquainted with Illustrator and Photoshop. As for features, it includes synchronization with Photoshop, integrating with user testing services and tools, transitions, mobile gestures and mobile application viewers as well. The sophistication of this tool may throw off beginner prototypes as it provides a full-featured prototyping environment that needs a time commitment. The free plan supplies within-browser sharing capabilities, and the team collaboration requires upgrading to a paid account. Unlike most savvy apps, Flinto until recently was entirely web-based, which can severely limit of interaction people may design. Another Flinto Mac then enters the picture for crafting advanced interactive mock-ups ad prototypes. The Mac version comes with the tools to create transition-based animations plus screen management to handle various app screens. Its transition tags and import tools help UI designers to keep animation and naming elements across all screens. Whereas, there is no animation value export, making it inconvenient to share specs with colleagues, and a user will have to download the free Flinto app in order to open Flinto docs on devices. No Photoshop support there. Marvel can be one of the easiest application to learn by letting any user immediately drop into the interface and then link screens through defining hotspots. It’s pretty straightforward to upload image/files into this software, and those supported image file types include GIF, JPG and PSD. A big disadvantage of Marvel is that this tool doesn’t include a UI component or any drawing tools and needs designs be done within another tool, such as Photoshop or Sketch. 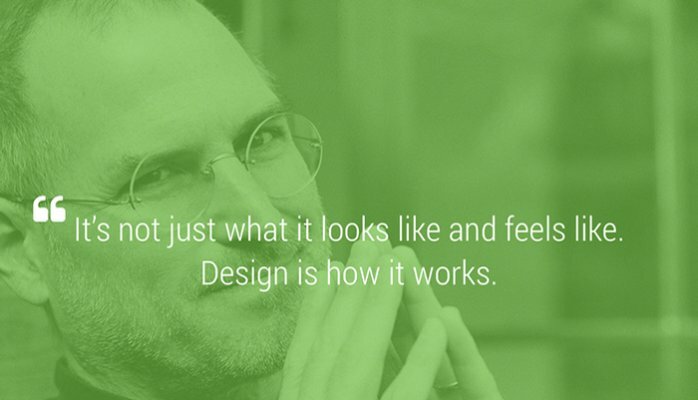 Its biggest value lies in simplicity, which however might limit the functionality desired by certain designers. Officially owned by Facebook, Origami is a free prototyping tool that has been used to make mock-ups for many different apps, including Messenger, Paper and Instagram. This tool is designed with a suite of transition animations and gestures common to mobile UI patterns with an extensive documentation library. A cool feature in Origami is anyone can convert visual design into written code samples for Android, web or iOS. This will be helpful in sharing animation spec snippets with developers within a touch of a button. To test out an interactive prototypes, users must download the companion app called Origami Live, and this extent functionality makes it chore to share mock-ups with individuals using devices other than your own. For those running on a Mac, OmniGraffle can be an easy-to-use program that produces diagrams, graphics, mock-ups and page layouts of website in progress. They pride themselves on the ultimate customizability, permitting users to generate a complete HTML prototype in one operation within this tool. Also, there is an extensive series of Visio import and designers can import their base content structure from XML or CSV file via a rule-based layout function. Honestly, its upfront cost may be too expensive for freelance individuals and small organizations, and this only Mac-based product may be a poor solution for most workplaces. The desktop versions of this tool receive updates every few years, and the collaborative editing is not allowed there. Pixate, powered by Google, seems to be another good prototyping platform for designers to test out mobile interaction animations, designs as well as wireframes for iOS and Android devices. Within it, any users can make interface mock-ups in the form of layers through a simple drag-and-drop function. This app works great for individuals but will become a little bit pricey if being used among a larger team of designers. Free users will find themselves limited in the amount of prototype projects ready to share with clients or teammates. No ability to view prototypes on desktop and no controls for adjusting elements/images there.